Listening to stories at bedtime clearly can be one of the fondest childhood memories which we can count on. A favourite grandparent or even parents for the matter of fact have always been associated with these storytelling sessions. Us staring wide-eyed, imbibing in every bit of information is what one can commonly recollect from these sessions. These stories were woven around tales from the folklore and often came with a moral! These stories had their own charm, we learnt about The Ramayana, The Mahabharata or even The Aesop’s Fables through these stories. One might think, why are we talking about storytelling? 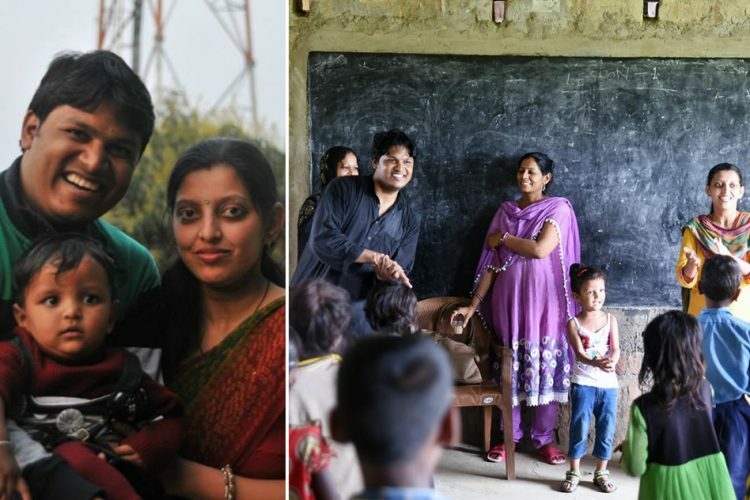 This is precisely what Kshitiz Anand and his wife Vatsala, have been doing for the last four-and-half years. Telling stories to little children, helping them learn and empowering young girls through their organisation Happy Horizon Trust. Bringing about development through fun is what the duo wanted to do. The husband-wife duo hail from the state and they decided to handle the problem head on. They decided to focus on all the parameters that contribute to the development of a child. They began with conducting informal storytelling sessions at schools. “We always believed in storytelling as an integral part of our culture. 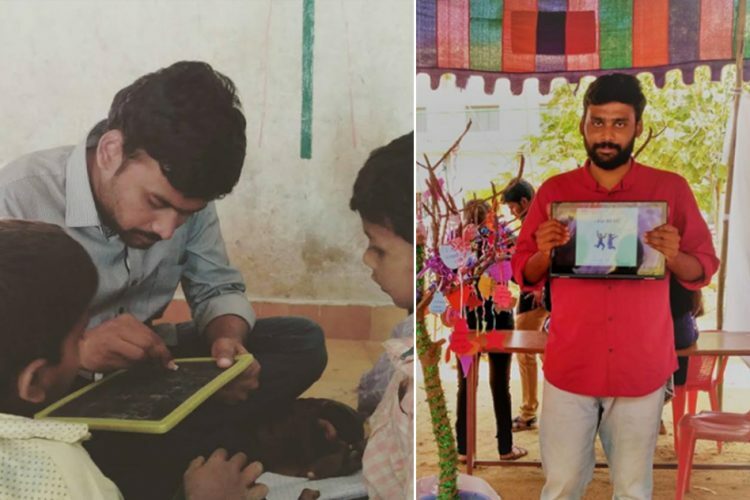 We thought it was a great idea to engage with kids in this way,” he added. They would ask questions and children would have a lot of fun in these sessions. This was completely opposite to the structured approach that normally exists in a classroom. They decided to take this practice ahead but this time the model was tweaked slightly and it was beneficial for the community as well. This was a youth leadership development program for high school girls. 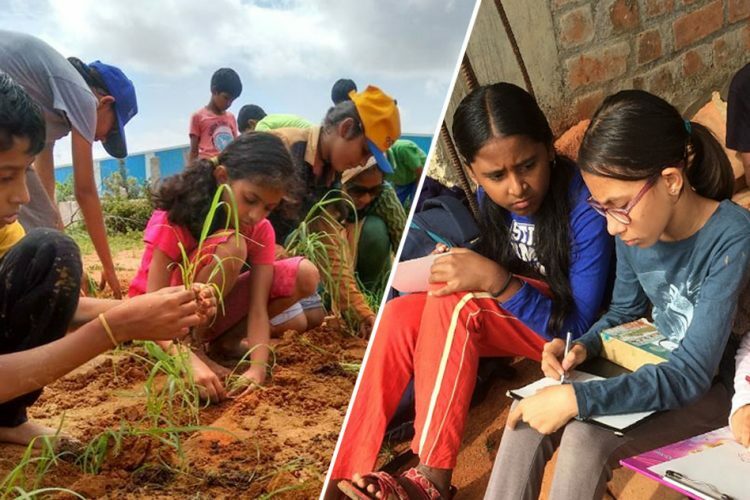 As a part of their development program, they get training in leadership, how to conduct storytelling sessions, how to do craft-based learning and how to engage in peer learning etc. In the due course, they’ll be doing whatever a teacher conventionally doesn’t do in class. These youth leaders were given the name of champions. It all started with two champions and they were asked to go these primary schools and have fun with these children, just to ignite fun in the learning process that hardly exists in the educational system right now. Team Happy Horizons Trust with the champions. 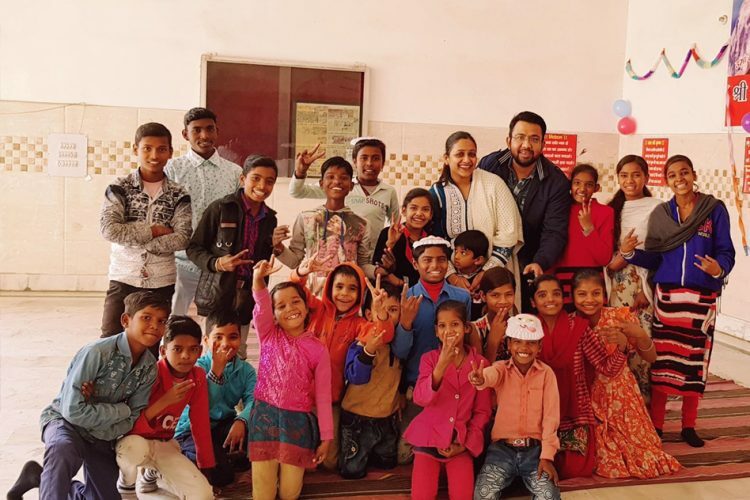 This leadership development program started with an extremely-poverty stricken school at a flood-prone region in Bihar, with an extremely underprivileged community. “Within a span of six months of working with this school, we saw a change in the mindset of the parents. 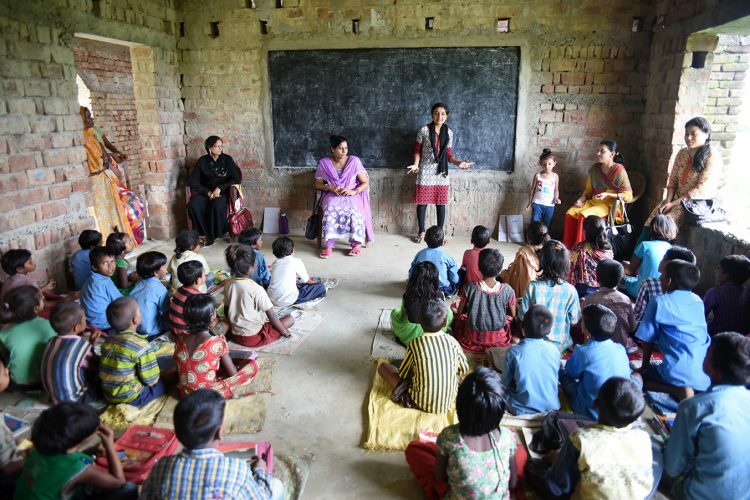 They were really concerned about the child’s development.” Today, Happy Horizon Trust works across eleven schools in Bihar and has fourteen champions working across these schools and aiming at creating a change. These high school girls go to the primary schools to engage in fun sessions with the children, teach them arts and crafts, do fun activities with them. Kshitiz said, “Building a stronger foundation at the primary level is very important to ensure that they don’t face problems as they go higher up the ladder. 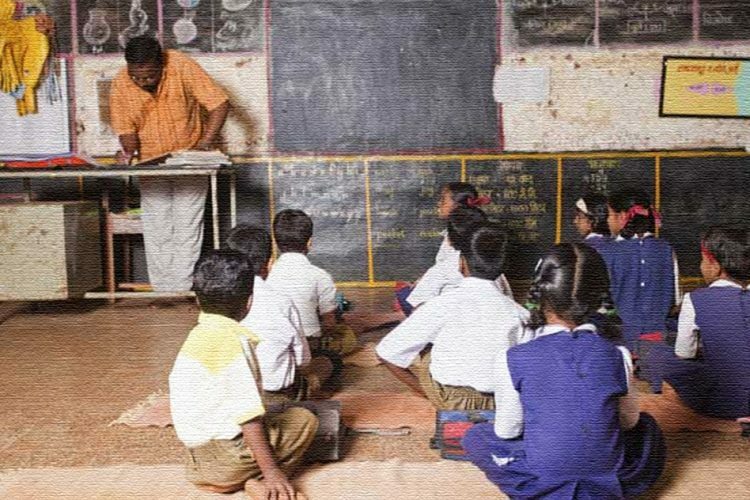 Most of class 8 and 9 students cannot read a sentence and are unable to elementary mathematics. Our organization’s focus is towards ensuring that this damage doesn’t happen again. We want to ensure there remains no gap in the education sector. 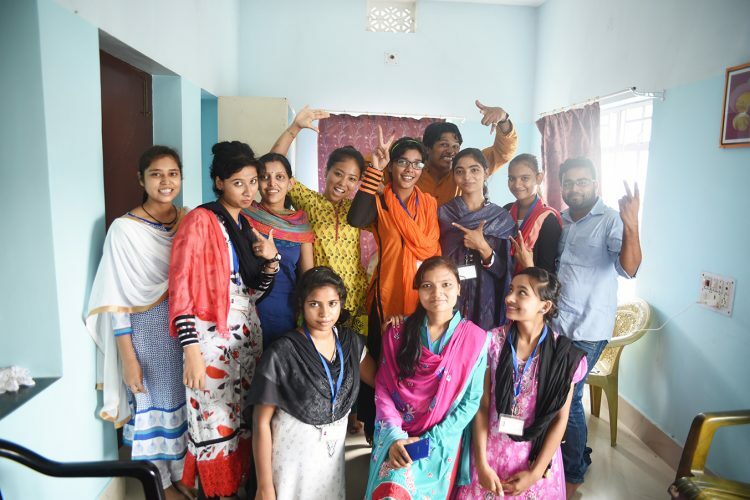 At the same time, we want to empower these champions, shape them to become their community leaders and ensure them an empowered future.” This Fellowship program is three years long and they get to pick up newer skills as they advance in levels. At the end of three years, the champions are taken for an excursion where they get to meet people belonging to the social sector. These sessions help children from primary schools to grow in a more holistic way. Improved motor skills, improved analytical and logical capabilities and being able to speak up in public with more confidence are just a few aspects of their growth. This project emphasises on participatory learning approach and alternative learning programs. A storytelling session in progress. On the other hand, the champions are the ones who gradually grow up to be confident beings. They are empowered to bring about a change. They learn a lot during the process and three of these champions are working as primary school teachers in their respective blocks. 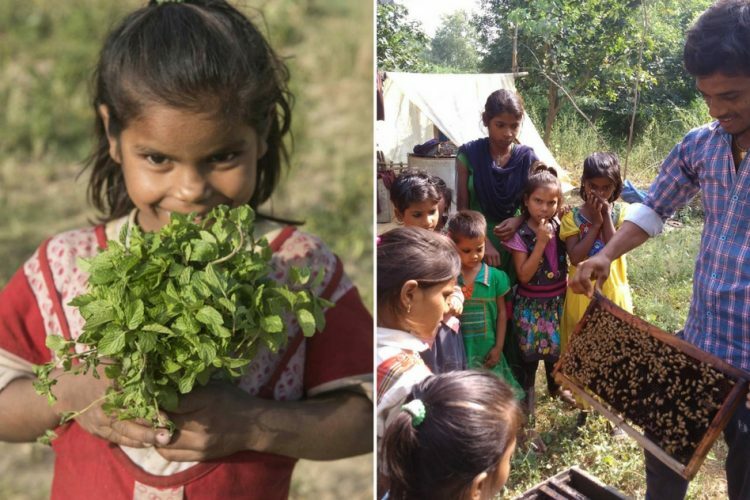 As a breadwinner for their family, these girls can now shoulder responsibilities. It effectively means that these champions are no longer a burden for their families and they it leads to a change in the family dynamics. They can now make independent decisions on their own and they are an inspiration for their society as well. 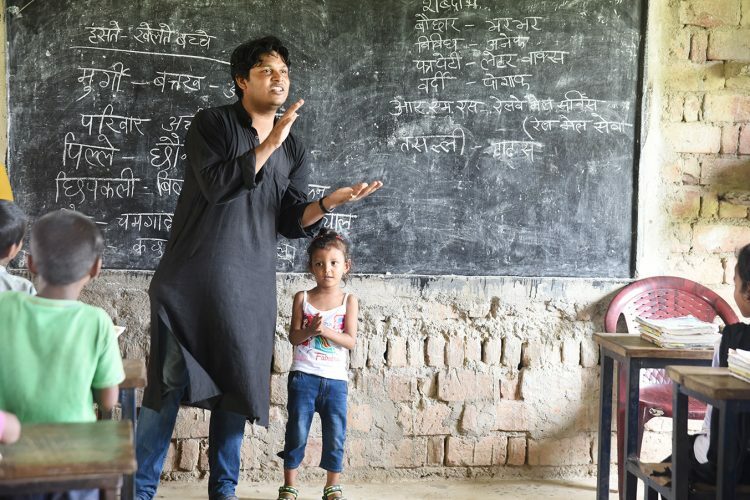 In this context, Kshitiz narrated the transformation story of Jyoti, one of the champions, who is currently working as a primary school teacher. Nigar, another champion is excellent at paper mache work and she will soon escalate this hobby further to start her own line of handicrafts. Neda and Farhana excel at making clothes and are already doing it for the families in the village. They all capable of running micro-enterprises by themselves. Another champion conducting a storytelling session. Happy Horizon Trust today is working across six districts in Bihar – Saharsa, Khagaria, Supaul, Madhepura, Purnea and Katihar. The Happy Horizon Trust has also initiated the program, ‘Learning Through Videos’ where learning was made fun through screening educational films. They have screened 100 films across 26 schools which were followed up by interactions and discussions. Through this, they were able to reach out to close to 25000 students and 400 teachers. The Happy Horizon Trust team also realised that now since children are getting more aware about education, they need more access to education. Happy Horizon Trust started the Digital Literacy and Internet Awareness programs, that are aimed to reach out to high school students. Much like the ripple effect, more than 300 students have gone through the digital literacy project and have been benefited from it till now. “We need to understand that we all can work as catalysts to initiate small changes. This will help in creating a change in the bigger picture, in the long run,” Kshitiz said. 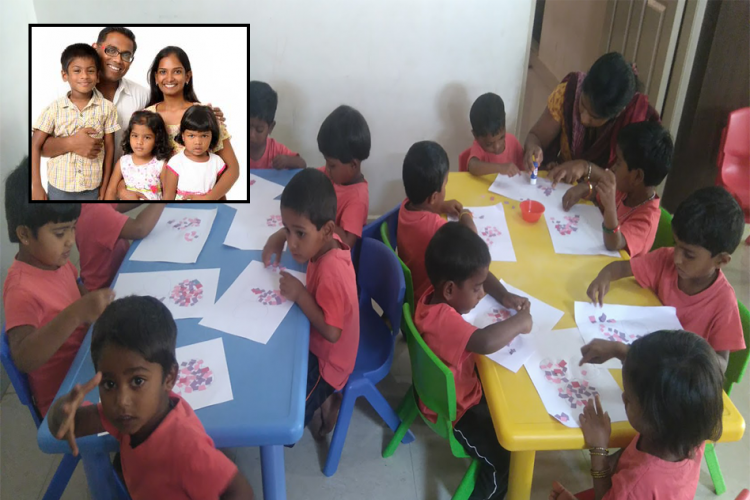 The Logical Indian community applauds the efforts taken up by Kshitiz and his wife in bringing about a holistic change in the educational system.